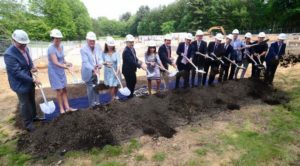 On a 130-acre campus in the Fox Chapel suburb of Pittsburgh, plans to add a modern building to the classic architecture of the Shady Side Academy Senior School are complete. 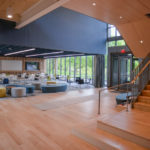 In May 2018, school and community representatives officially dedicated The McIlroy Center for Science and Innovation, a state-of-the-art, sustainable building with a design approach that still references the school’s existing architectural style. 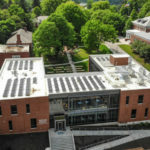 Though Shady Side is strong in science and technology, one lab space shared by several classes was insufficient to support the advanced learning on which the school prides itself. This project brings the school’s science program into the new century, with 10 flexible classroom/lab spaces for physics, biology and chemistry, as well as larger spaces for research, collaboration, and independent study. A special projects room adjacent to the faculty office will provide students with supervised access to research space throughout the school day. It’s a design that supports inquiry and engagement with both peers and teachers. 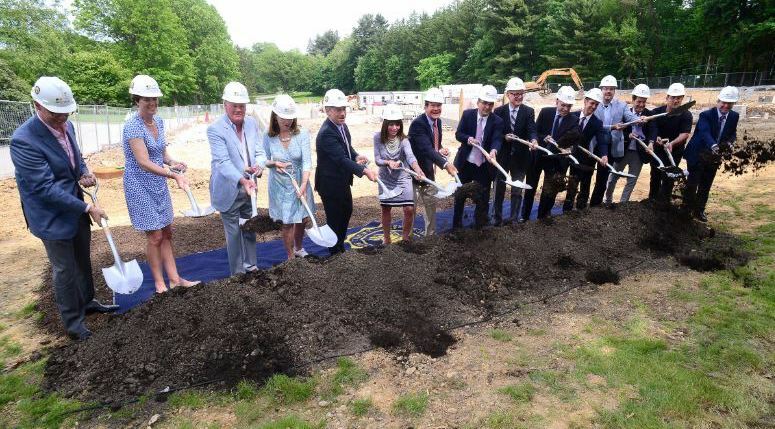 Thanks to these new college level labs and facilities, Shady Side can teach high school students at a whole new level, preparing them for college and attracting new students to the school. Allen & Shariff completed mechanical, electrical, plumbing, and fire protection design for the $11 million project, as well as providing commissioning services to coincide with LEED certification. When Allen & Shariff joined the project, it had already started under a different design team and was extremely over budget. In fact, the high costs were making it un-constructible for Shady Side. Allen & Shariff worked closely with Strada Architecture, bringing the project into budget to allow for its eventual construction. Site preparation and utility relocation work for the building began in late March 2017, laying the foundation for the 22,000-square foot, U-shaped, two-story building. The goal was to complete construction in time for the 2018-2019 school year. As the new cornerstone of campus, the McIlroy Center is the first thing visitors see when they enter the property. 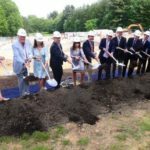 The space will be utilized not only for instruction, but, with the new outdoor amphitheater, as a gathering space for students, faculty, and visitors both inside and out. With the intention of earning LEED Gold certification from the U.S. Green Building Council, sustainability was a pervasive consideration throughout design and construction. The green design reduces environmental impact and serves as a science and innovation teaching tool at the same time. 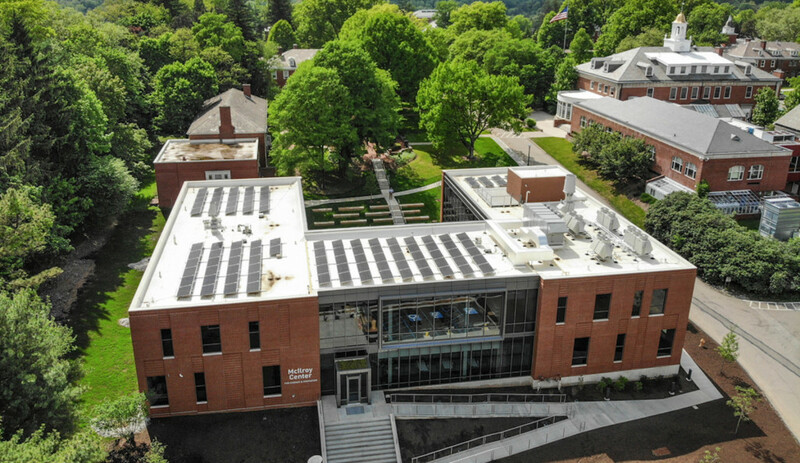 With a rain garden to collect runoff, solar panels as an electric power source, energy-efficient windows, water-saving plumbing, motion-sensitive lighting and more, the building itself is a living, observable science lesson. 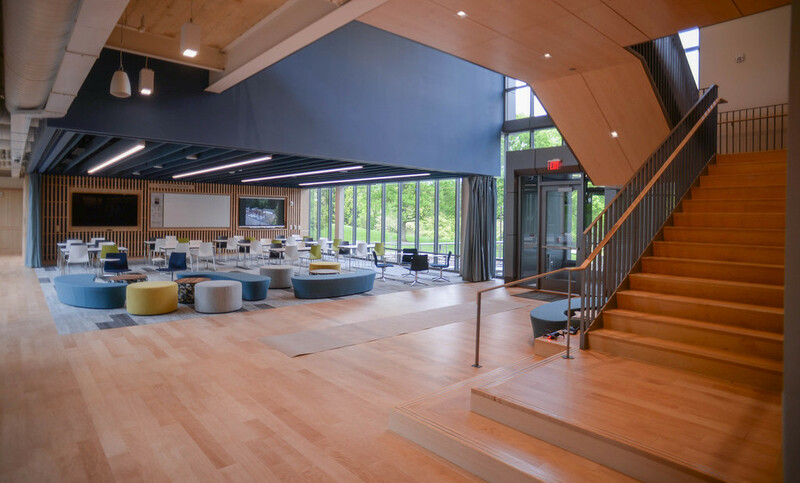 Learn more about Allen & Shariff’s work in sustainable design and our experience in the K-12 and higher education sector.